Are you ready for a good boot sale! Of course you are! Nine West has just started their 60% off sale on select boots & booties + free shipping, a deal that you simply can’t miss out on especially for you die hard boot lovers. 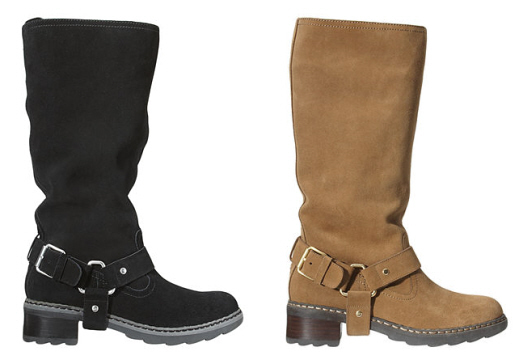 Nine West – 60% Off select Boots & Booties + Free Shipping. Now through Dec. 31. Discount reflected at checkout. I’m drooling over these Benice knee-high biker boots at the ridiculous price of $63.60 $159! It’s better than a BOGO offer… woohoo!